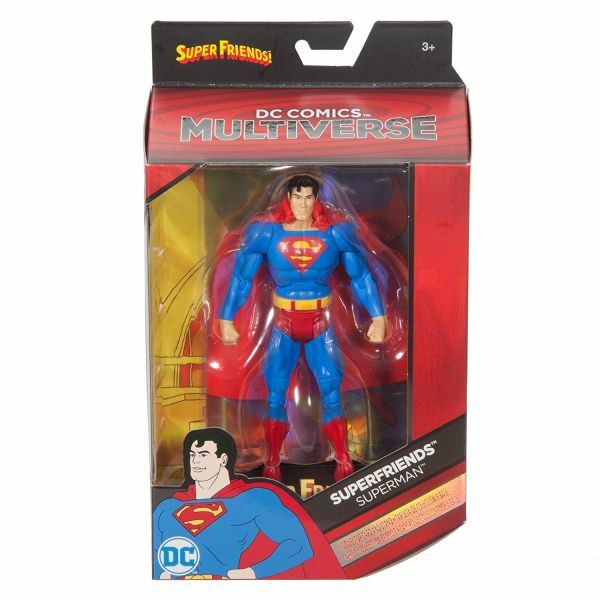 Produktinformationen "DC MULTIVERSE 15 cm SUPERFRIENDS SUPERMAN ACTIONFIGUR"
From Mattel. Fans and collectors will love these highly detailed 6" key DC character figures. Each one features 20 points of articulation, detailed battle suits, authentic paint and iconic elements and a bonus piece! Choose from Wonder Woman, Wonder Girl, Aquaman, and Superman. Weiterführende Links zu "DC MULTIVERSE 15 cm SUPERFRIENDS SUPERMAN ACTIONFIGUR"
Kundenbewertungen für "DC MULTIVERSE 15 cm SUPERFRIENDS SUPERMAN ACTIONFIGUR"